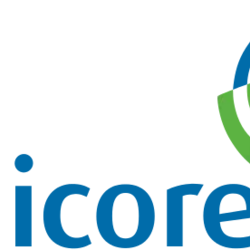 Formed in 1989 by the merger of four companies in the mining and smelting industries, Umicore has since reshaped itself into a more technology-focused business encompassing such areas as the refining and recycling of precious metals and the manufacture of specialised products from precious metals, cobalt, germanium, zinc, and other metals. The company has been a component of Belgium's benchmark BEL20 stock market index since its 1991 inception. Umicore and its predecessor companies can look back on a history of precious metal production that stretches back more than 200 years. This gives Umicore one of the longest traditions as a supplier of internationally recognized and certified gold and silver bars. Umicore precious metal bars represent a secure investment combined with tradition and responsibility for the future. Umicore Precious Metals Refining operates as one of the world's largest precious metals recycling facilities. This business unit of Umicore is the world market leader in recycling complex waste streams containing precious and other non-ferrous metals. Precious metals from secondary sources have become increasingly important as greater focus is placed on the responsibility each and every one of us carries for an intact environment. Umicore produces bars that come mostly from precious metals recovered at its own recycling facility in Hoboken, Belgium. The facility is the world’s largest recycling facility of its kind and recycles 20 valuable metals from a large range of industrial residues and end-of-life products. Umicore Precious Metals Refining has a production capacity of more than 2,400 tonnes of high purity silver per year, making it one of the world's largest silver refineries. Production capacity for gold exceeds 100 tonnes per year. With this refining capacity, Umicore ranks among the biggest refineries in Europe. Umicore delivers high-quality products and solutions for industrial and commercial use. Umicore provides gold, silver and platinum group fabricated products in a wide range of dimensions and shapes. Bullion bars are available in attractive packaging with a certificate of authenticity and a security feature. In June 2013, Umicore was one of the first London Good Delivery gold refiners to pass the London Bullion Market Association (LBMA) Responsible Gold audit. Through mutual recognition of other industry initiatives, Umicore Precious Metals Refining has also been listed as Conflict Free Smelter by the Electronics Industry Citizenship Coalition (EICC). Umicore is committed to sustainable business and seeks to combine economic growth with a responsible contribution to the environment and society.